To help make your experience with us start off as smooth as possible, we have provided some of our Front Desk forms and Patient Satisfaction Survey. Adobe Acrobat Reader is required in order to print the provided forms; it is available as a free download. Please fill in all of the items as completely as possible by printing clearly in black or blue ink. Bring these completed forms with you and present them when you check-in for your appointment. Please have your most current insurance card and picture identification with you. If you have a copay then you will provide that at the time of your visit. Baton Rouge Orthopaedic Clinic works with Resolve ROI for medical records services. In order to obtain a copy of your medical records please download and complete the form below and fax to (225) 408-7980 or you can email your request to records@brortho.com. If you need additional information or have questions regarding the status of your release of medical records please call Resolve ROI directly at 1-844-887-8109. 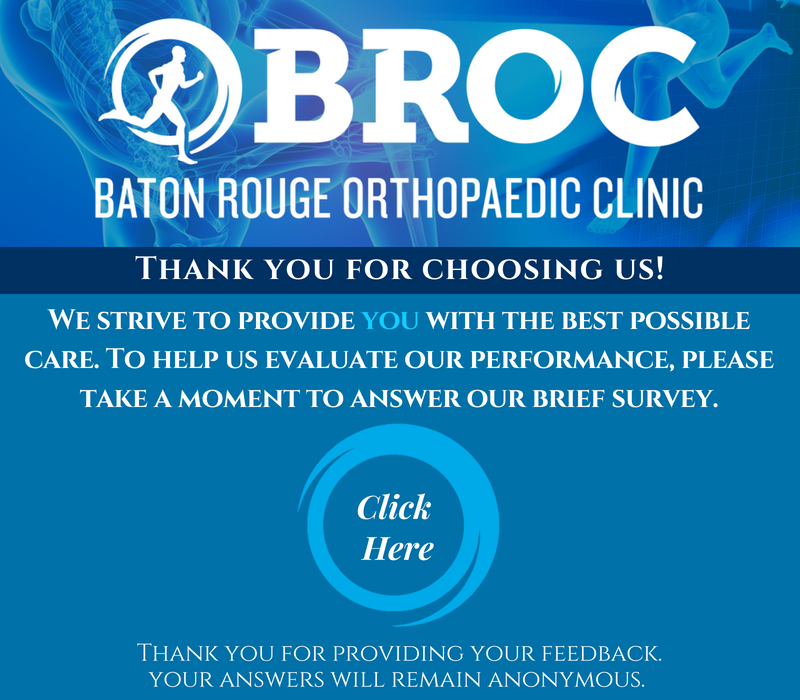 We appreciate your selection of the Baton Rouge Orthopaedic Clinic. Our physicians and staff strive to provide you with the best possible care. To help us evaluate our performance and become aware if the aspects of the practice that might be improved, please take a few minutes to answer our survey.